Today is an odd day to be working in Parliament. I mean most days are fairly odd around here, but today the oddness quotient has been stepped up a gear. It’s the Queen’s Speech today and that means lots of pomp and ceremony. The state coaches will be out along with marching bands, ermine cloaks and crown jewels. It makes for a colourful display for any tourists waiting out in the drizzle of Whitehall or Parliament Square. And it’s not too bad on television either. We British do ceremonial occasions very well, after all. 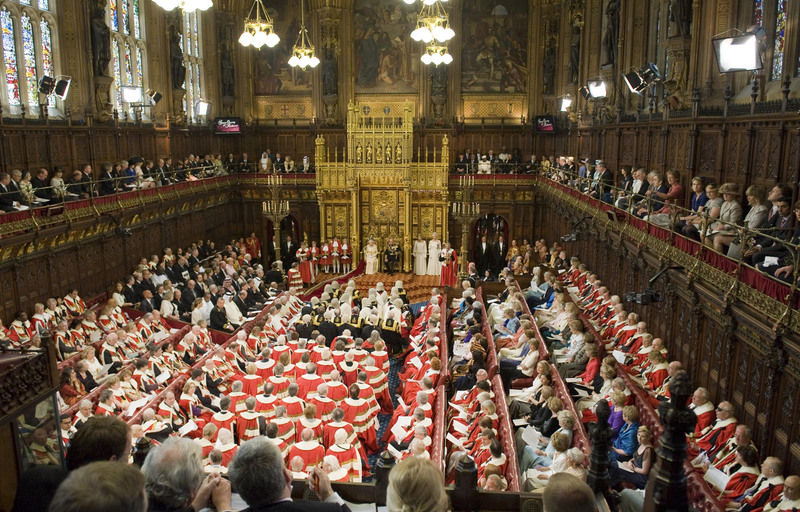 Inside Parliament, though, the place is packed with people hamming it up in their best outfits in case Liz might spot them and not be pleased with their turnout or something. I understand the parliamentary doorkeepers in full regalia, and even the police officers in full dress blues with their medals and white gloves. The bit I find hilarious are the – predominantly tory – members and staff in the tailcoats and pinstripe trousers of morning dress. And the ladies are going to town too. I’ve never seen so many big hats in a canteen before. I imagine if Ascot had a restaurant with a good cooked breakfast, it’d look a lot like what I saw this morning. It seemed to my innocent eye as if there was a bit of a competition for the biggest and grandest hat too. Some of them looked like they needed scaffolding! I love working in and around Parliament. I see all sorts of weird things. I get to go to cool receptions, I’ve literally bumped into Hollywood legends – and Hugh Grant – and I’ve seen some unusual old traditions taking place as they have done for hundreds of years. But, to me, this place is mostly an office. A place of work. So when the big hats and tailcoats turn up, it still amazes me.